“Everyone knows the master narrative of the war: the manly experience on the front, the struggle to survive and the disillusionment after seeing friends killed. The soldier’s narrative gets privilege. It always has,” said Debra Cohen, assistant professor of English. 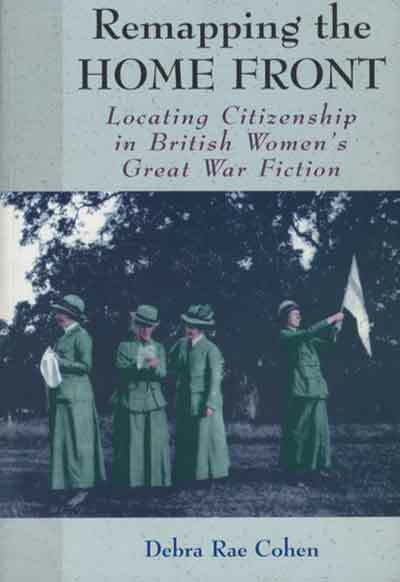 But in “Remapping the Home Front,” Cohen examines war literature from a different perspective — that of women, whose writing during World War I showed a struggle to reconcile their war-assigned roles of domesticity with their growing desire for individual space and identity. Cohen’s book discusses the fiction of four writers – Violet Hunt, Rose Macaulay, Stella Benson and Rebecca West. Though thematically different, the works these women produced show a common element. Each features characters who, in response to the pressures of war society, retreat to inner spaces and imaginary worlds. They construct physical, psychological and emotional enclosures from which they can observe the war and its impact on the real world without allowing it to shape – or distort – their identities. Yet Cohen’s analysis shows how these sheltered spaces ultimately collapse, leaving characters exposed to the eyes of society and the effects of the war – a disillusionment on the home front to match that of the battlefield.